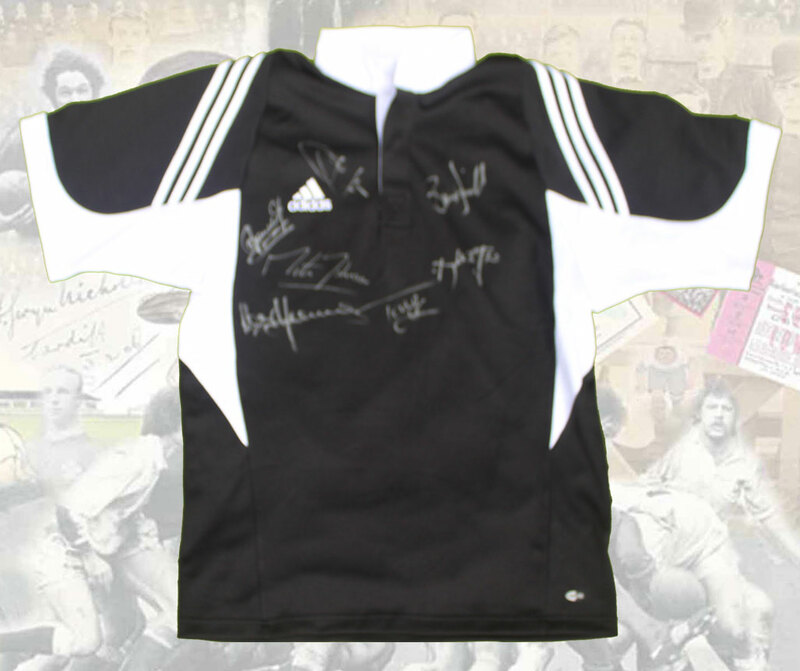 JERSEY SIGNED BY ARGENTINA - A replica Dubai Sevens jersey signed by 8 members of the Argentina squad at the tournament in 2005. The majority of players have printed their names next to their signatures, they include Alex Weitemeier, Horacio san Martin & Bustos Moyano. Size - XL, Signatures - 8. PONTYPRIDD SIGNED JERSEY - Circa 1990s, this Ponty jersey is signed by 16 to the front and the 'Chief' Dale McIntosh to the rear. Size - XXXL, Sigs 17. LLANELLI SIGNED JERSEY - SCOTT QUINNELL - A Llanelli Scarlets replica Kooga jersey signed 'To Smithy No8, best wishes Scott Quinnell'. Size - Large, Sigs 1. NEWPORT SIGNED JERSEY - GARY TEICHMANN - A brand new Newport PSM Sportswear jersey circa late 1990s jersey signed by the legendary Newport & South Africa captain Gary Teichmann. The Springbok No 8 captained Newport to their first Welsh Cup win in 24 years in 2001 and was a great favourite at Rodney Parade. The jersey is signed neatly to the front. Size - 46-48" (117-122cm), Signatures - 1. 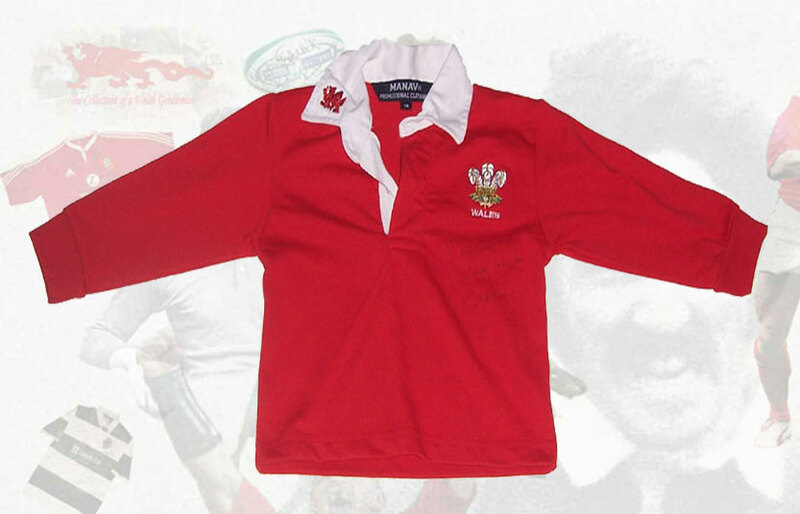 WALES SIGNED JERSEY - DAFYDD JAMES - possibly match worn, embroidered 3 feathers to front, Rockport log to collar & Reebok logo. A good quality jersey with WRU Official Team Merchandise on label, in very good condition. Size - 50",Sigs 1. 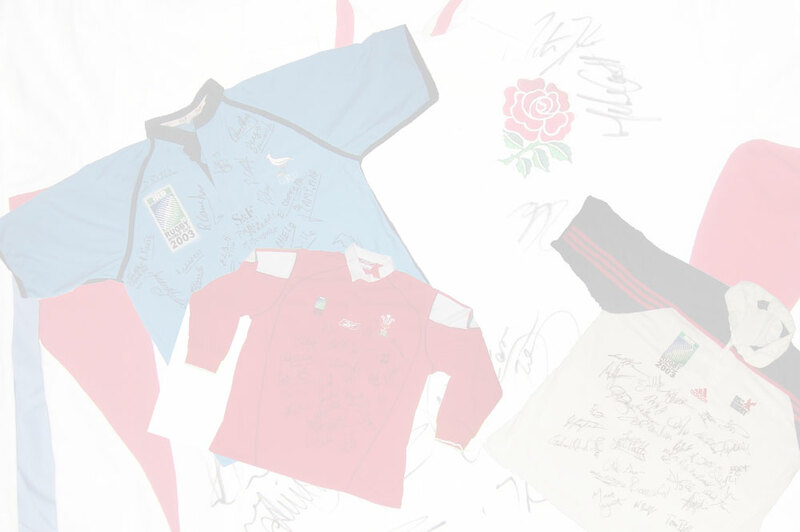 WALES SIGNED 'INFANTS' JERSEY - SCOTT QUINNELL - An infant size Wales jersey signed and dedicated 'to Owen' by Scott Quinnell. Size - 16, Signatures - 1. 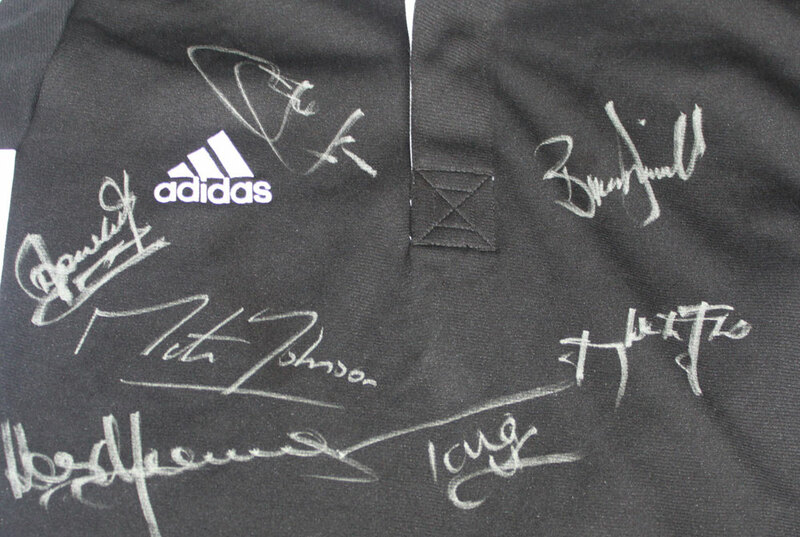 ADIDAS LEISURE TOP WITH 7 AUTOGRAPHS. A leisure collarless short sleeve top in black with white flashes and white around collar. 7 autographs in white on the front. 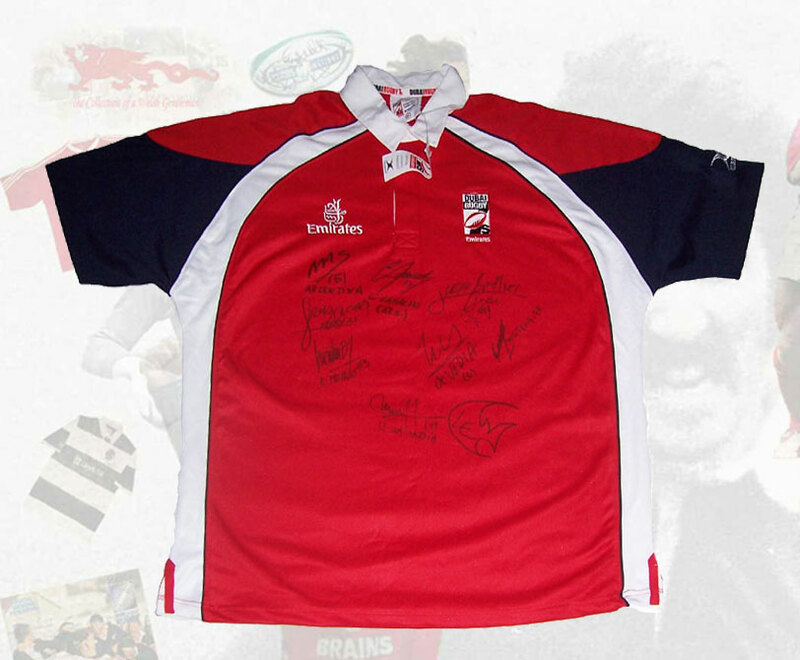 Autographs include Martin Johnson, Brian O'Driscoll and Tana Umaga. The top is by Adidas and size is 38". This jersey is sold together with a COA guaranteeing that the autographs are original and authentic.